It probably goes without saying that coming off a season in which they finished 13th in the Western Conference and missed the Stanley Cup Playoffs by 15 points, there are no shortage of questions facing the Anaheim Ducks. Since claiming the franchise's first championship in 2007, the Ducks have won a single playoff round. They've made the postseason three times and failed to get there twice, but their overall performance last season was particularly vexing. Anaheim endured a hideous first half, getting veteran coach Randy Carlyle fired along the way. On Jan. 6, the Ducks sat 14th in the West with a 10-22-6 record, a full 20 points out of eighth place. Then, suddenly, the teachings of new bench boss Bruce Boudreau seemed to click, and the team went on a second-half surge. On the strength of a 17-3-4 run fueled largely by the goaltending of Jonas Hiller, the Ducks got as close as within four points of a playoff berth in late February, but could never narrow it further. 1. What will Bruce Boudreau be able to achieve in his first full season in Anaheim? When he was hired Dec. 1, the Ducks found themselves in a sorry state of affairs with a 7-13-4 record. It would get worse before it got better, as they won just three of their first 14 games under Boudreau before going 24-14-6 the rest of the way. Although he couldn't pull off the miracle comeback he did when he first became an NHL coach in Washington, leading the Capitals back from last place in the Eastern Conference to the first of four consecutive Southeast Division titles in 2007-08, Boudreau re-energized the Ducks -- most notably Hiller and the team's defensive efforts in front of him -- and created expectations of better things to come. In the three full seasons Boudreau coached the Capitals, they finished first in the division each time. The Pacific boasts the defending Stanley Cup champs (Los Angeles Kings), the other West finalist (Phoenix Coyotes) and two other very solid teams (San Jose Sharks and Dallas Stars), so a top-three seed is a lofty goal, but it isn't unreasonable to expect Boudreau can lead the Ducks back into the playoffs. "This team, we've just started going where we want to go," Boudreau said in May, when he signed a two-year contract extension. "If we had started a little bit earlier, anything could have happened. These playoff teams, we competed with all these teams, going tooth and nail." 2. What kind of production will the Ducks get from their vaunted top line? The trio of Ryan Getzlaf centering Corey Perry and Bobby Ryan had its occasional flashes of brilliance, but overall suffered a significant drop in production from the previous season. Perry, who went on a goal-scoring binge near the end of the 2010-11 campaign in winning the Hart Trophy, slipped from 50 goals and 98 points to 37 and 60, respectively. Ryan's scoring line dipped from 34-37-71 to 31-26-57. And Getzlaf managed just 11 goals (down eight) and 57 points (down 19), his worst production since his rookie season. In order for the Ducks to finish above the line that divides the West's top eight from its bottom seven, they'll probably need the No. 1 unit to at least produce at a rate that falls between its sizzling 2010-11 output and its underwhelming follow-up performance. Of course, that's assuming the top line remains intact, which leads into our next question. 3. Will Bobby Ryan remain a Duck, and if so, will he be happy about that fact? The 25-year-old right wing, who has scored 30-plus goals in each of his four full NHL seasons, made comments after the season ended that suggested he wouldn't mind continuing his career somewhere other than Southern California. With the Columbus Blue Jackets having traded Rick Nash to the New York Rangers last month and the high-profile free agents all signed with the exception of Shane Doan, any team looking to add an impact player on offense would figure to have Ryan in its sights. The Philadelphia Flyers, in particular, have been rumored to have interest in the native of nearby Cherry Hill, N.J., but it's unclear what the Ducks might want for him -- or if they're even inclined to deal him in the first place. Like it or not, Ryan may very well find himself playing in familiar surroundings. While he expressed displeasure over feeling like he shouldered too much blame for his lack of output during the team's struggles early last season, any gripes he has with management apparently don't carry over to Boudreau and the coaching staff. "Bruce essentially changed my whole season around in Anaheim," Ryan told the Camden Courier-Post over the summer. "It was going downhill very fast. He came in and changed things around and really spoke to me on a level that I could understand. I loved playing for him." 4. Can Teemu Selanne continue to produce at an elite level at 42 years old? The Finnish Flash defied Father Time again last season by leading the Ducks in scoring, registering 26 goals and 66 points. Perhaps even more remarkably, he played in all 82 games for the first time in five years. With 663 career goals, Selanne is on the verge of cracking the top 10, and his 1,406 points rank 19th on the all-time list. Since the time he first contemplated retirement following Anaheim's Cup triumph, he's compiled more than 100 goals and 270 points. He also remains deadly on the power play, where his 12 goals last season give him 248 over his 19 seasons in the League. Selanne is coming back for another season because he still feels he can contribute at a level up to his lofty standards, and it's hard for anyone else to doubt him. 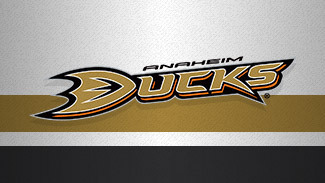 "Age is a funny thing," Selanne told the Ducks' official website. "A lot of times, I don't really feel 42 right now. It all depends how good you feel, how healthy you are and how much passion you have for the game. That is why I still enjoy the game. It's fun to go to the rink every morning. It sounds pretty old when you say 42 as a hockey player. Mentally, I am still the same level as Getzlaf and those other guys. That is most important and that is why I am still in the game." 5. How much of a break will Jonas Hiller get with the signing of Viktor Fasth in goal? Considering Hiller missed almost the entire final two months of the 2010-11 season plus the Ducks' first-round playoff defeat to the Nashville Predators because of vertigo, that he was able to come back last season and lead the League with 73 appearances was a remarkable feat. It also indicated the Ducks didn't have a lot of faith in their goaltending depth -- Dan Ellis missed most of the season because of injury and Jeff Deslauriers earned only four starts as Anaheim desperately attempted to make up ground in the playoff race and felt the need to rely on their best, night after night. Fasth, who turned 30 on Aug. 8, has had a decorated career in Sweden, including at the international level. Assuming he adjusts to the NHL well and gains Boudreau's confidence, it's not unreasonable to think he could he could earn 25-30 starts this season. 6. Who will step up and make an impact on the blue line? Over the past few seasons, the Ducks have traded away Chris Pronger and Lubomir Visnovsky and seen Scott Niedermayer retire. Players like Cam Fowler and Luca Sbisa, who represent the future on defense, are at crucial stages in their development. Fowler's offensive numbers regressed in his sophomore season and he's a minus-53 in 158 games since entering the League. But he doesn't turn 21 until December and still has all the makings of a future star at his position. Sbisa, 22, set career highs across the board last season and flashed a lot of the potential the Ducks saw when they acquired him as part of the deal that saw Pronger sent to the Flyers. Aiding the young duo will be veteran holdovers Francois Beauchemin and Toni Lydman. The Ducks added experience by signing free agents Bryan Allen and Sheldon Souray. Their team goals-against average last season of 2.73 ranked 19th in the League.